How can we ensure that implementation of the Paris Agreement truly helps foster more just and sustainable development, and what is standing in the way of this progress? It is no secret that a dual relationship exists between climate change and sustainable development. While climate change influences the environment and has deep impacts on human living conditions and therefore affects the cornerstones of social, economic and environmental development, the way society chooses to develop has implications on greenhouse gas emissions. The existing energy system threatens development beyond climate change. Coal mining and power plants as well as petrol extraction often go along with severe abuses of human rights, for instance the right to food, health and clean water but also civil and political rights. A study by the University of Maastricht revealed that almost 30 per cent of the 1,877 human rights abuses committed by corporations identified between 2005 and 2014 were related to the natural resource extraction sector and the energy sector. Unfortunately, the renewable energy sector and so-called clean technology is not immune to human rights abuses, as instances of biofuel production and its negative consequences for the right to food have shown. Batteries of electric cars contain cobalt which often comes from mines in DRC where child labor is a common practice as Amnesty International has recently reported. Fulfilling their human rights obligations includes the responsibility of States to protect against human rights violations or abuses within their territory and/or jurisdiction by third parties, including transnational corporations and other business enterprises. Binding rules on business and human rights, as were discussed in the Human Rights Council from 23-27 October 2017 in Geneva, have to be established. Going beyond mere voluntary commitments, such rules are essential to prevent human rights abuses by corporations and to hold them liable when acting harmfully. 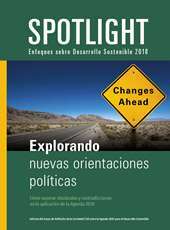 For the second time, a global coalition of civil society organizations and unions has published the so-called Spotlight Report on Sustainable Development, with the aim to monitor the implementation of the 2030 Agenda. The authors of the Spotlight Report 2017 observed a growing trend to promote business as the solver of today’s challenges and to call for public-private partnerships (PPPs) and privatization for implementing the 2030 Agenda. This trend is based on the assumption that global problems are too big and the public sector is too weak to solve them. But what is ignored is the question why the public sector has become so weak and unable to provide essential goods and services. It is actually a result of decades of neoliberal ideology, deregulation, business-friendly fiscal policies, tax avoidance, increased market concentration, accumulation of individual wealth, and lobbying by powerful corporations. The authors demonstrate in the different areas such as food security, public transport and services, health, education, climate action that privatization and PPPs involve disproportionate risks for the people affected and high costs for the public sector. These tools can even exacerbate inequalities, decrease access to essential services and jeopardize the fulfillment of human rights. For the implementation of the Paris Agreement, another question that remains is which tools to mobilize private resources and incentivize action against climate change by business serve people best. Innovation, technology, and partnerships with the business sector are also dominating the discussions of COP 23 in Bonn. Governments, however, should assess if the current focus on partnership approaches and techno-fix solutions that places business in the heart of solving the climate crisis does not give business further undue influence on political decision-making, and distract from the necessary system change and the central role of the State to regulate and provide public goods and services. Instead of further promote the misleading discourse of “multi-stakeholderism” and partnerships between inherently unequal partners, it is critical to reclaim policies that really put people and their needs at the center. In order to widen the public policy space it is further necessary to strengthen public finance at all levels by adjustments in fiscal policies. Privatized services have to be taken back into public hands and alternatives, such as re-municipalization of water supply or community controlled and decentralized energy systems, should be strengthened. New and existing partnerships between UN institutions, governments and business, not only for climate change action, but also for other sectors of development, should be reconsidered and checked against the actual added value, their costs and risks. Such assessments consider the risks of undue influence on agenda-setting, shift of public funding to and the outsourcing of decision-making to not democratically legitimatized multi-stakeholder bodies. 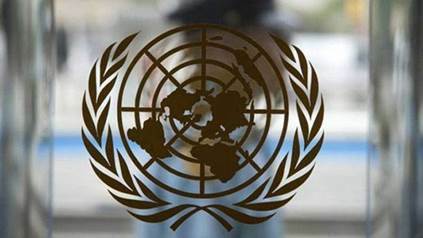 Strong disclosure requirements and conflict of interest policies are further needed at national government and UN level. Societies that have contributed most to climate change do not feel its consequences yet or demonstrate greater resilience. Those most affected and least able to cope with climate change are the poorest and most vulnerable people of society not only in low but also in middle- and high-income countries. According to the World Economic and Social Survey 2016, inequalities even exacerbate climate impacts on poor. The report states that much of the harm is not by accident, but that it is based on the failure of governments to close the development gaps that leave large population groups at risk. SDG 10 (reducing inequalities) is a central element of the 2030 Agenda. It is critical that actions against climate change also tackle horizontal and vertical inequalities in and between countries and do not manifest existing inequalities. In this context, common but differentiated responsibilities (CBDR) and the questions who controls, who has access to, and who gains from technologies and innovation have to be considered and answered.